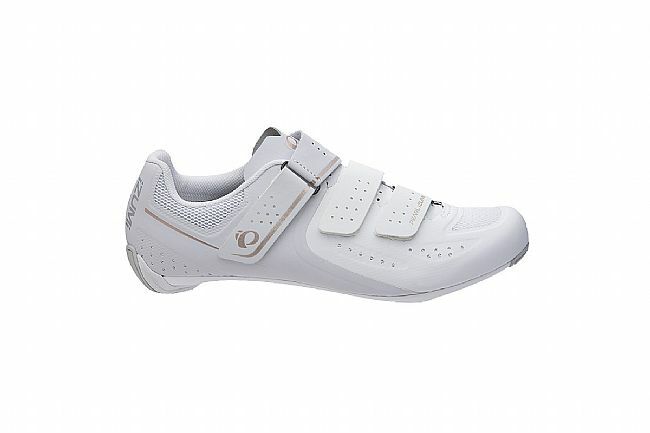 The Pearl Izumi Select Road V5 shoe challenges the thinking that beauty comes at a high price. Inspired by the design of the top-of-the-line P.R.O. 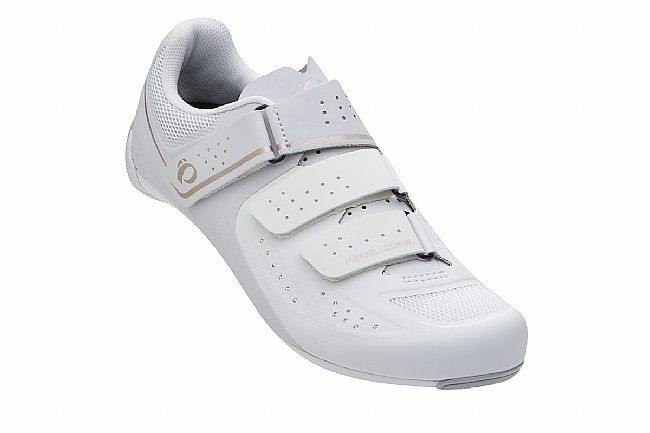 Leader v4, Pearl Izumi re-engineered the upper to deliver a fully bonded construction for instant comfort. 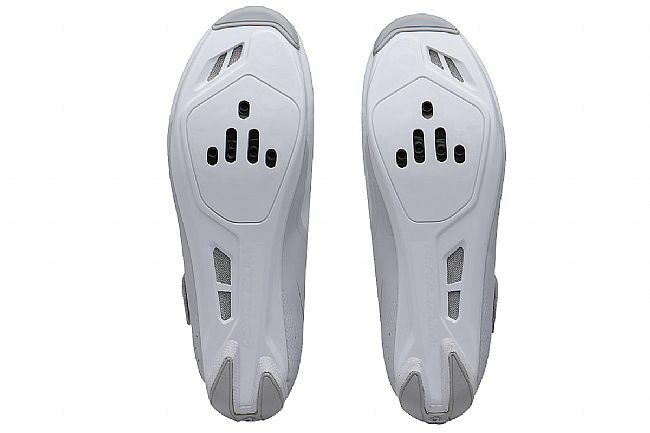 The improved nylon plate increases stiffness for quick acceleration and all day foot support for long days in the saddle. 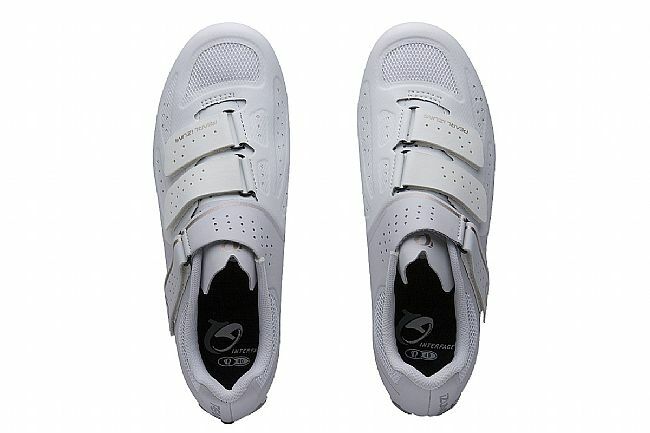 The Pearl Izumi Select Road v5 Shoe is compatible with 3-bolt cleats and road pedals. Advanced 3-layer seamless composite upper offers exceptional breathability and eliminates hot spots by adapting to each unique foot shape. 1:1® Anatomic 3-strap closure removes pressure from your instep to eliminate hot spots. Select 1:1® Composite Power Plate with nylon forefoot insert provides improved lightweight stiffness and durability. EVA foam and rubber heel bumper gives stability and walking comfort. 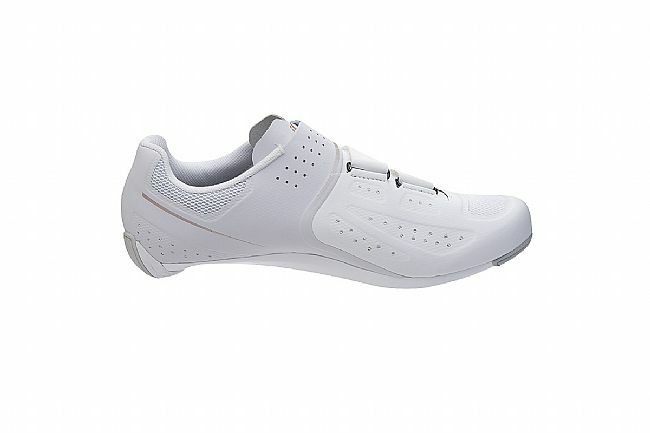 SELECT insole provides excellent longitudinal and transverse arch support.